Post beautiful images that will engage your audience in an organic way. The quickest way to disengage your audience is to sell them. Instagram is a great choice for a free social media platform that engages your market through visual storytelling. Social media does not come naturally to me. It never occurred to me to have a social media account before I started in real estate, and my platform of choice is Instagram due to its visual and design-oriented focus. After asking my nieces to set me up on Instagram, I started following top brokers to learn how they used this tool. One of my favorite accounts is indepth_nyc, which belongs to Andres Perea-Garzon of Compass New York City. I asked him for his best tips on using Instagram successfully. Be yourself. Your audience will quickly pick up if you are trying too hard and will disengage. Do not hard-sell to your audience. This is a huge turn off to anyone — typical users go to these social media platforms to disengage from daily stressors, so the last thing they want to see is someone telling them what to do. Organic and genuine relationships on social media are the best ones. You want to ultimately “click” with someone that shares your common interests. If they are not looking to buy, rent or sell immediately, that doesn’t give you reason to not engage with them. Ultimately, we are in the business of building and nurturing relationships. 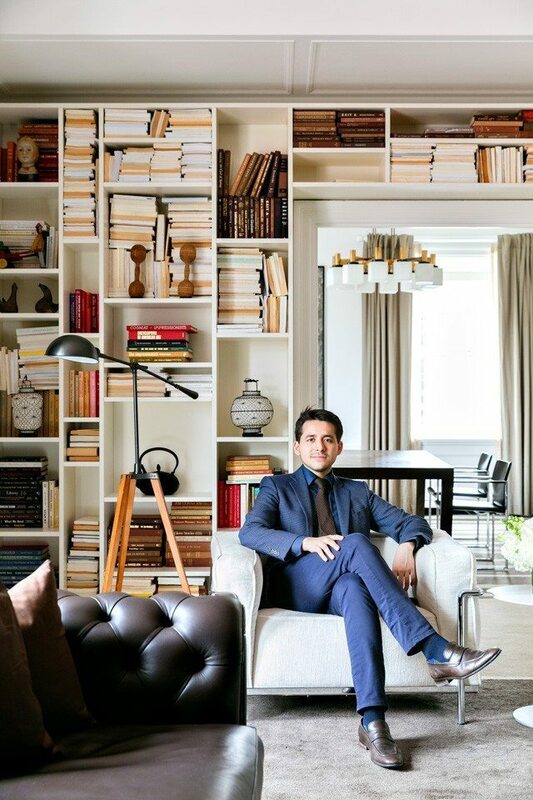 “Back in 2014 as I was wrapping up a long day of showings, I walked past The Pierre [a luxury New York City hotel overlooking Central Park] and felt inspired by its architectural beauty,” Perea-Garzon said. Ultimately, we are in the business of building and nurturing relationships. “I decided to take a picture, which I later posted while tagging the business on Instagram. That day, The Pierre reached out to me, and we connected in person the following week. 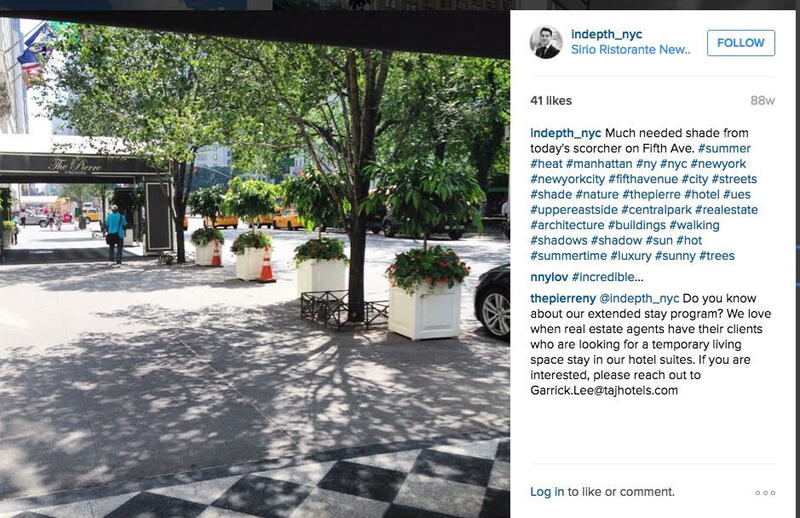 @indepthnyc took a photo of The Pierre, and ended up with a new client. Follow me on Instagram at RebeccaCavallaroNYC for live blogging from Global Connect 2016 in New York City. I hope to see you there! Rebecca Cavallaro is an associate broker at Sotheby’s International Realty. Follow her on Instagram or on Twitter.